Sometime last December, Derek Low’s article “Across the USA by Train for Just $213” came across my Facebook timeline. It had only been approximately 2 months since the crew and I had returned to America. Upon our return, I’d made a pledge that 1) I wanted to focus more on domestic travel 2) I would love to travel using all modes of transportation (planes, trains, cruises, and road trips) this year. The timing of this article was perfect. I was giddy at the thought of exploring America for only $213 per person. WINNING! Talk about traveling on a budget. After reading about his budget-friendly Amtrak cross country experience, I realized that his approach to train travel worked great for him. Derek’s journey across America took a mere 4 days which is quite impressive, I must say. However, if I was going to make this happen for 4 Deep Around The World, I would have to make a few changes to our itinerary in an efforts to maintain my sanity as well as make the best of our journey. After some research about the Amtrak USA 15 Day Rail Pass, I figured why not invite other families to join in on this cross-country adventure. To be honest, I didn’t seriously think anyone would actually take me up on such a wild and wacky offer. I must add that by this point, I realized that dude DID NOT travel across the USA via Amtrak for $213 which his title suggested. Total click bait move *bummer*! He admittedly spent $429 for a 15 day USA rail pass. It was too late, my hopes were up and I was sold on taking the Cool Kids backpacking coast to coast across America. After doing some number crunching, 4 Deep Around The World could make this experience happen for an average of $287 per person. $459 for one adult and $229.50 for three children. I mean it’s not $213 but I’ll take it. BOOM! 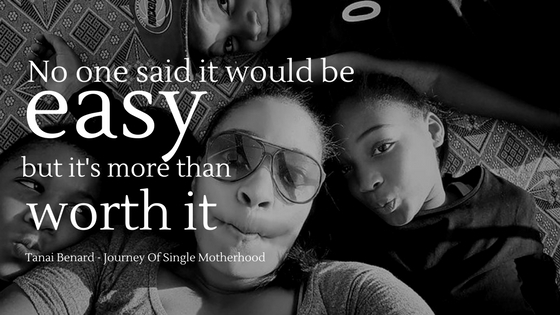 Mommy for the win! Back to the open Facebook invite. 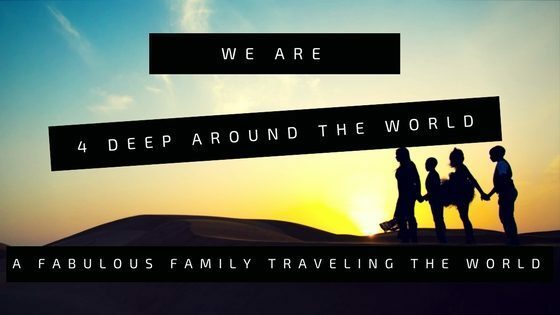 Holy crap, other Wandering Moms (Moms, click the link to join the most amazing FB mom travel group of 9,000 moms worldwide <<shameless admin plug ) actually took me up on the offer to drag their kids across America with mine. Go figure, I am not the only adventurous mom out there. We were set to explore 6 U.S. cities in a fifteen-day time span. I refuse to sit on a train for 4 days and not actually see what each city has to offer. Let’s not forget that my motherly patience, sanity, and personal cleanliness habits wouldn’t allow me to sit on a train for four days. I couldn’t fathom such an adventure. My heart sank when I realized that our stretch from Sacramento to Denver would be thirty hours in coach (No showers, No bed). Father God, give me the strength. Ha! In Sacramento, we were joined by two other moms and three children. One of the family’s, the boys and I had met for the first time during our visit to Washington D.C. this past February. After realizing we were in their city via a Facebook post, they invited us over for dinner and a playdate. Why not take a “stranger” up on some free food and kid play time. The other family was from Virginia and we had never met past Facebook familiarities until we boarded the train. We were ready to begin our cross-country adventure! The views from Sacramento to Denver were simply amazing! To pass the time during our first leg, the kids spent a lot of time in the viewer car playing Uno and enjoying each others company. I am amazed every time I see how easily kids who have never met can quickly befriend one another. Despite the lack of wifi, in a thirty-hour time span, not one time did a child say the dreaded words “I’m bored”. We were able to get off the train for about five to ten minutes every few stops. The break was just enough time to stretch our legs, take an Instagram worthy picture and re-board the train. While researching, I came across several mentions of the lack of cleanliness while traveling via Amtrak, as well as, the presence of other passengers foul body odor. Fortunately, during this stretch of our journey, we experienced neither. Throughout our thirty hours aboard our restrooms remained fairly clean. On the first leg of our journey, I made a very costly mistake that I vowed to never make again during the remainder of our excursion. I didn’t pack enough food! Well, I thought I did. It must be something about train travel that strikes up an appetite for my crew. Our stockpile that was meant to last thirty hours was depleted in what felt like minutes of our departure. I had already made my mind up that I was determined to do this entire trip on a budget. This meant that having the dining car dinner experience for a family of four was out of the question. Off to the train cafe we go. Wait this can’t be right! You have got to be joking! A cup of ninety-nine cent sodium filled noodles can be purchased for $2.75. Amtrak is hilarious. Inflation much? Thirty hours after departing Sacramento, CA, we made it to Denver Colorado with zero sibling quarrels and mommy’s nerves in tacked. Why do they look so refreshed? HOT SHOWER, OH HOW I MISS THEE, LET ME COUNT THE WAYS! From Denver Union Station, we hopped on the Denver rail, then walked about a mile to finally arrive at our Marriott hotel in the Denver Tech Center area. There was no need to pull straws or fight over the shower because we all knew who had first dibs. The wet and cool summer conditions in Denver held us hostage at our hotel indoor pool for most of our brief visit. At some point during this leg, the cutest thing happened. My ten-year-old, met a new friend while hanging out in the viewer car playing card games. For the entire night, they were inseparable. You could have sworn they were best friends. Eighteen hours feels like light work after you’ve conquered a thirty-hour stretch. What’s the first thing anyone should do upon touching down in Chicago? Devour a slice of Giordano’s famous stuffed pizza, of course! This is not up for debate folks! It’s a must. By the second day in Chicago, the kids were catching some shut-eye wherever possible. Backpacking cross country isn’t for the weary. Day 2, we found our way to the Navy Pier and Millenium Park. Millenium Park is massive and the children enjoyed hours of hide and go seek and freeze tag. It’s definitely a must do for those visiting Chicago on a dime. In Chicago, we were joined by more families. One mom whom I’d previously met at a Nomadness Travel Tribe meet up in Abu Dabi a few years back joined us with her daughter. Another Wandering Mom, I’d only acquainted myself with via Facebook brought her son and mother. What great joy it is to just meet other like-minded mothers via social media and decide to spend days traveling the country with them. After the 12 hours of travel, we finally made it to Buffalo, NY. Most of the cities we had visited up to this point had mass transportation systems that allowed us to commute from the Amtrak station to our hotel pretty effortlessly. Welp, Buffalo wasn’t as kind. We needed a vehicle that could accommodate six. My go to when mass transit is not available is Uber. 2 times we ordered Uber XL which should accommodate at least 6. On both occasions after long waits, each would arrive with only enough room for four passengers. Finally, we decided to scrape Uber and give Lyft a go. Thankfully, our Lyft was a minivan and we knew it could accommodate six. Boy, was my patience running thin. Once our Lyft arrived, I quickly made peace with her minor child riding shotgun, crumbs in the seat and animal hair all over the vehicle. I was just in dire need to get to our hotel to greet a shower and bed. Why not make this an international trip and cross over into Canada! We had only a day to spend exploring Ontario, Canada and Niagara Falls. Our first stop after crossing the Canadian border was the Niagara Falls Hornblower boat tour . This was well worth the money. This tour gave us a full up close and personal Niagara Falls experience. The kids absolutely loved it. Our one day in Canada faced competition. We were extremely pressed for time. Little did we know, that day was the premiere of Disney’s Descendants 2. In that moment not one single kid cared about an elaborately planned itinerary or exploring any more of Canada. After lunch at a local mall, they opted for some pool time and an impromptu Descendants 2 premiere pizza party. Buffalo > New York City (transfer) > Washington D.C.
After our Lyft and Uber debacle, we were happy to be greeted by limousine upon arriving in D.C.
Sidenote: Thank you to all the Marriot hotel facilities that offer washer and dryers for cross-country backpacking moms like myself. At this point, 4 Deep Around The World had been backpacking for over 2 weeks. This is the point where I begin to rethink my entire life. HA! this momma was tired and I begin to hold my breath every time I opened my Wells Fargo banking app. Luckily, the Cool Kids felt the same way. They were over it. We were only able to gather enough energy to walk a local mall near our hotel and visit Stone Mountain. Atlanta deserves a 4 Deep redo. Maybe two-plus weeks of backpacking was a bit much, but I’d definitely do it all over again with my crew. As a matter of fact, we are gathering moms now to plan our 2018 summer family excursion. Just learned of your blog and your Instagram page, and love it! Would love to know about 2018 summer plans to figure out if my boys and I can join you. Not to invite myself or anything, but I think what you’re doing is amazing! Thanks for replying. I just joined the FB group after receiving your response.